Ongoing resistance against, and attacks on, Islamic State militias by Kurdish armed fighters in northern Iraq and Syria have brought international public and media attention to the Kurds’ continuing struggle for statehood. The fighting between the IS and Kurdish militias has brought unprecedented media attention to the Kurds and their struggle for territory, human rights and identity. Although it is too early to predict what direction the geo-political and national struggles will take, it is important to address mediated representations and production by and of Kurds and the role that the media play in new and multiple geographies and experiences of Kurdishness in changing contexts. The volume and the geographical reach of Kurdish media are expanding exponentially, contributing to a shifting Middle Eastern mediascape. 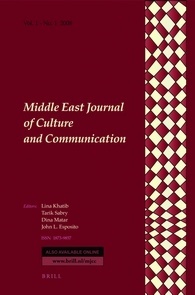 A number of studies already exist on some aspects of Kurdish media production, Kurdish identity and transnational connections and implications. However, these studies have either found home in the field of Kurdish studies or in transnational media studies without contributing, to a certain extent, to dialogues and connections between these fields which would certainly improve understandings of what has come to be known as the Kurdish question. This special issue seeks to make a contribution to bridging the gap. We therefore invite submissions devoted to empirically grounded, historically-contextualized studies on Kurdish media and cultural productions and their multiple geographies. We welcome papers from a wide range of disciplinary and methodological approaches that focus on media broadly defined and on questions of media and cultural production while relating these issues to relevant socio-political contexts. – How is the question of Kurdishness articulated, represented and experienced in different geographies? – How is Kurdish media and cultural production influenced by political economic contexts in different geographies? – How are questions of gender, class and ethnicity articulated and negotiated? – What role do Kurdish media and cultural products play in the relation between politics and everyday life? The deadline for submission of abstracts is 15 March 2015. Abstracts should not exceed 500 words and should provide a clear outline of its proposed theoretical framework and empirical data, as well as its contribution to the themes of the special issue. Notification of acceptance of abstracts: 20 May 2015. Deadline for submission of complete manuscripts: 15 October 2015. Contributions should be between 6000 and 7000 words and include an abstract of 150 words, at least 5 keywords and the author’s affiliation and email address. Please send abstracts by 15 March 2015 to Kevin Smets (kevin.smets@uantwerpen.be) and Ali Fuat Şengül (afsengul@gmail.com).